Mr. Camargo has been practicing law since his admission to the Michigan Bar in 2003. He began his career as a law clerk, which enabled him to attain comfort and experience in both a courtroom setting, as well as in researching various legal issues. In 2005, Mr. Camargo joined the Oakland County Prosecutor’s Office. While serving as an Assistant Prosecuting Attorney, gained recognition for his courtroom advocacy as he litigated a broad range of matters, ranging from misdemeanors to high felonies and from criminal law matter to family law matters. Mr. Camargo also worked in conjunction with represented several state agencies such as the Michigan Department of Human Services and the Michigan Department of Environmental Quality. In August of 2009, Mr. Camargo started his own legal practice, during which he began to utilize his courtroom advocacy skills to strengthen his probate and civil litigation practice. In January of 2011, Mr. Camargo joined the firm of Fedor, Camargo & Weston PLC as a founding member. He focuses his practice in civil litigation, with a specialization in probate litigation, will contests and trust contests. 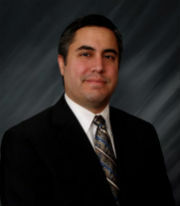 Mr. Camargo also handles probate administration and estate planning matters. In addition to his duties with Fedor, Camargo & Weston PLC, Mr. Camargo also serves as a part-time magistrate in the 52/3 District Court in Rochester Hills, Michigan. Admitted to the State Bar of Michigan in 2003, Mr. Camargo is admitted to practice in all Michigan state courts as well as the Federal District Court for the Eastern District of Michigan. State Bar of Michigan, including the Litigation and Estate Planning Sections, Oakland County Bar Association, Macomb County Bar Association, Institute of Continuing Legal Education Partner, and Marquette University Alumni Association.